Over the centuries, shawls have come to symbolize shelter, peace, and spiritual sustenance. Now, thousands of crocheters of all faiths are creating handmade shawls for people in need. What started as a grass-roots movement has quickly grown into an international cause, with countless numbers of shawls being given to grateful recipients around the globe. 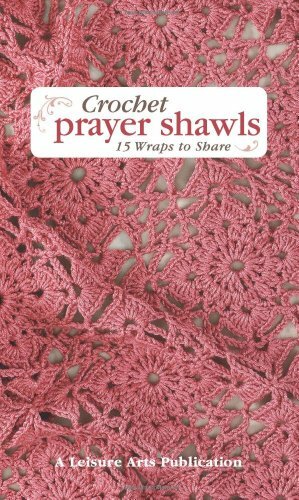 This thoughtful crochet book features 15 prayer shawls in easy to advanced skill levels created by Leisure Arts' best-selling designers. Styles include motif, lace, solid, rectangles, triangles, round, and square shawls. The concealed spiral bound 5.5 x 8.5 hardcover is the ideal slip-it-in-the-project bag, take-along pattern book for every on-the-go crocheter.